Amish French Style Dining Table. Table features French inspired styling with V bent-back side chairs. 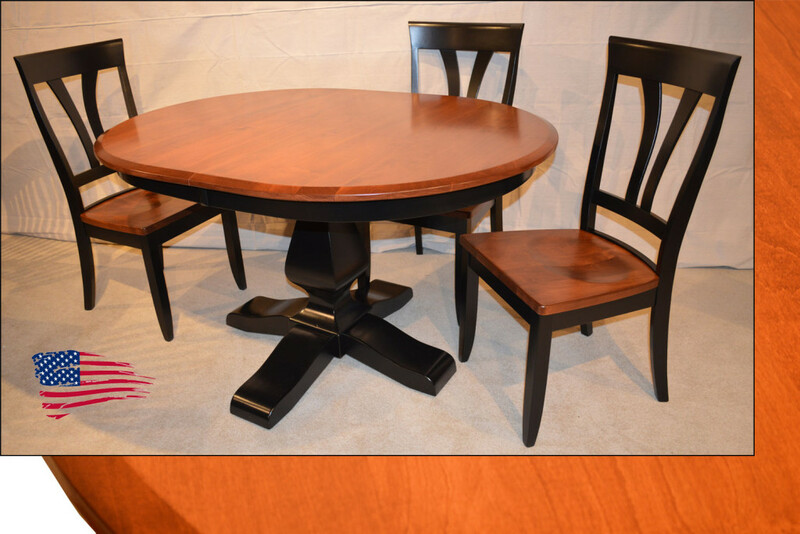 The set is all solid brown maple and two-toned with black and Washington stain. Table comes with 2 self storing leafs. Made in USA!